When Kimi was asked if he would had let his teammate Romain Grosjean past him, had Lotus-management ordered so in Korean GP, he didn’t give a yes or no. “What do you think?” Räikkönen snapped. In end of season 2008 Räikkönen played on behalf of his teammate Felipe Massa in the last couple races, but other than that Kimi has done it in his own style listening less to orders. Grosjean – 8th in the championship – pushed his luck and begged in the team radio the pitwall to give Räikkönen a team order to let him through as a faster driver. 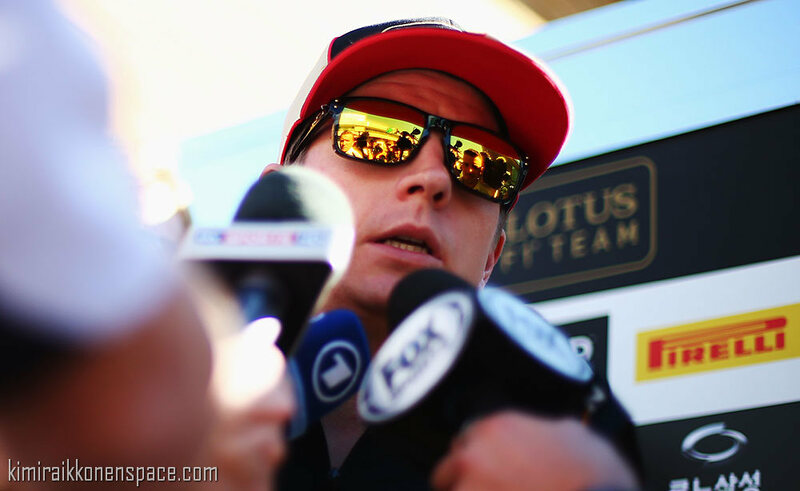 He had to obey a couple of times himself to a team order on Räikkönen’s behalf when his WDC-situation required it. By Thursday Grosjean was however okay with it. Grosjean’s complaints in the team radio didn’t bother Räikkönen in any way. Is Grosjean nowadays a tougher competitor than he was earlier? Räikkönen was praised for maintaining his former speed and ability to overtake even at an older age. Räikkönen doesn’t expect any team orders in the future either.